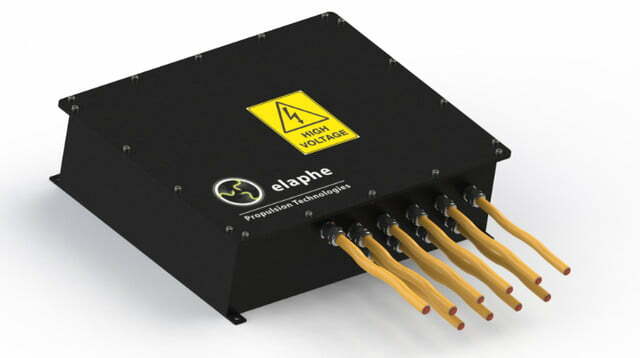 Elaphe Propulsion Technologies recently introduced modular platforms for autonomous vehicles. 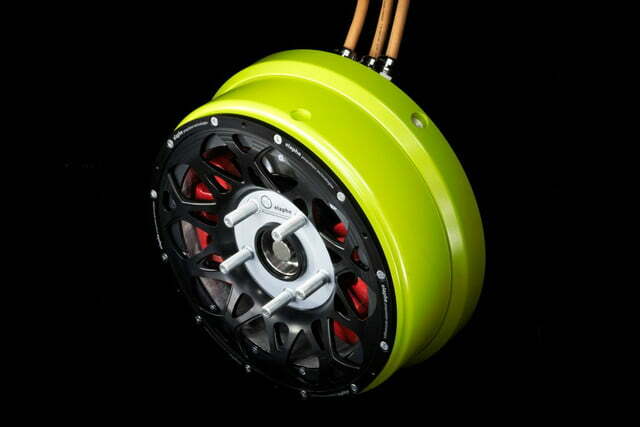 The Slovenia-based company has manufactured electric in-wheel propulsion systems since 2003. 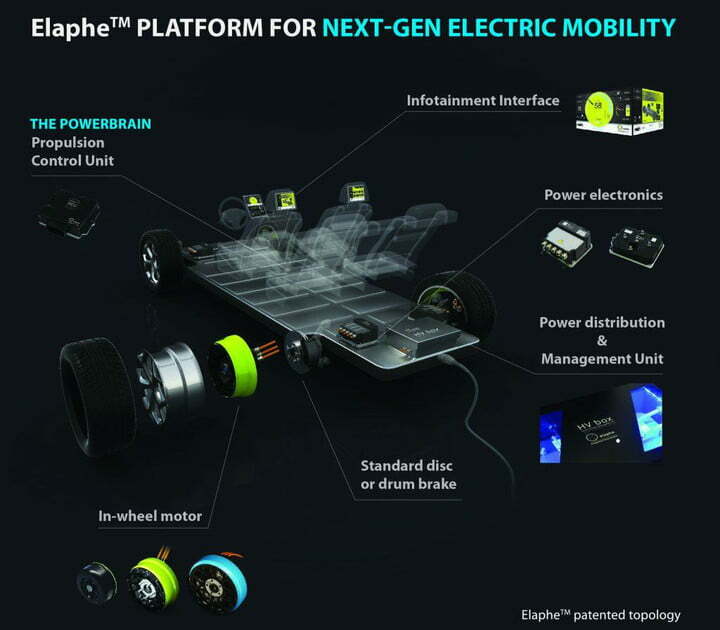 Elaphe’s 15-year focus on highly efficient, ultra-low weight, electromagnetic in-wheel motors led to two developments significant today: creative torque-vectoring solutions and a modular, plug-and-play platform for autonomous vehicles. 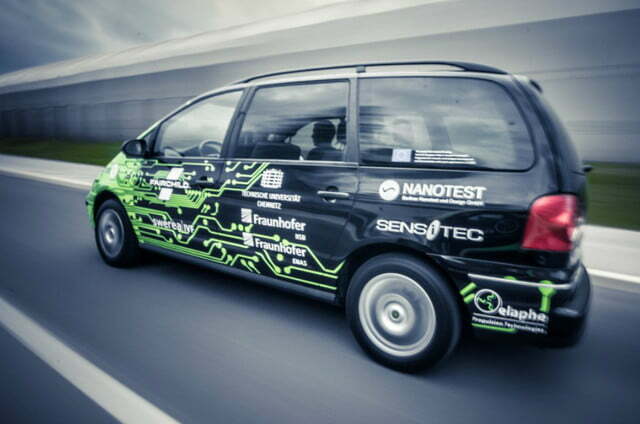 Torque vectoring technology varies the amount of power between wheels in two-wheel drive and four-wheel drive vehicles. Originally used in race cars, torque vectoring helps acceleration and handling by improving traction. 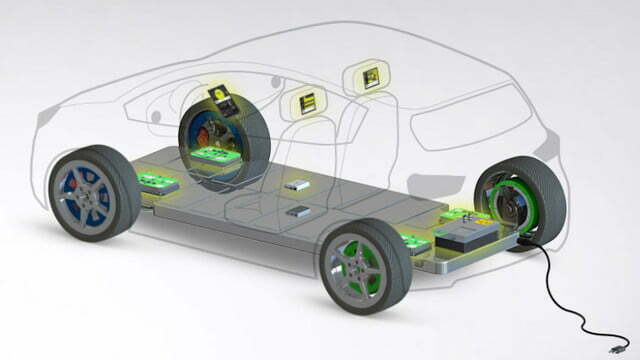 Electronic controllers in each wheel work in concert to apply power where it does the most good. 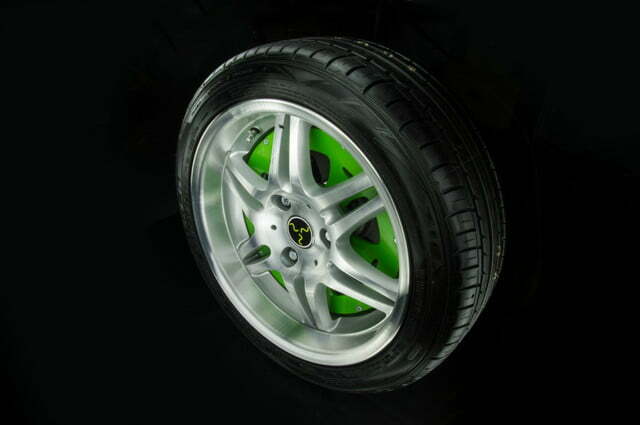 Unless you are intentionally drifting a car, for example, the goal with torque vectoring is to keep the car under control, on the road, and traveling in the desired direction with the least tire slippage possible. 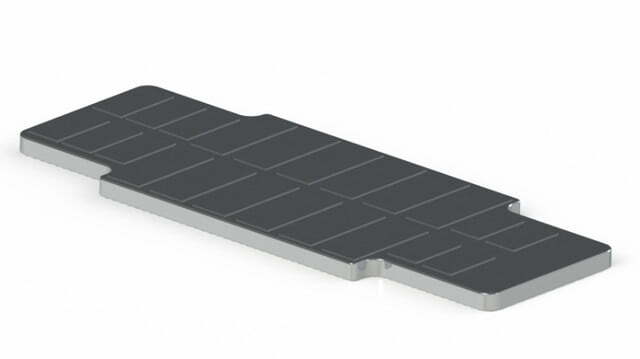 Electric cars such as Tesla’s Model S accelerate extraordinarily quickly because electric motors produce maximum torque from a standstill. 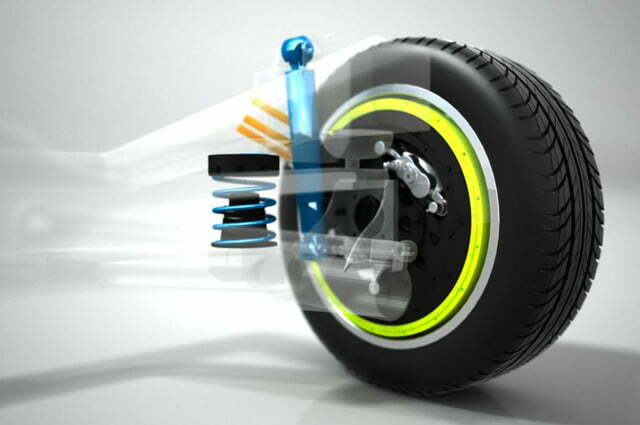 Internal combustion engines (ICEs) need to rev up to reach maximum torque. 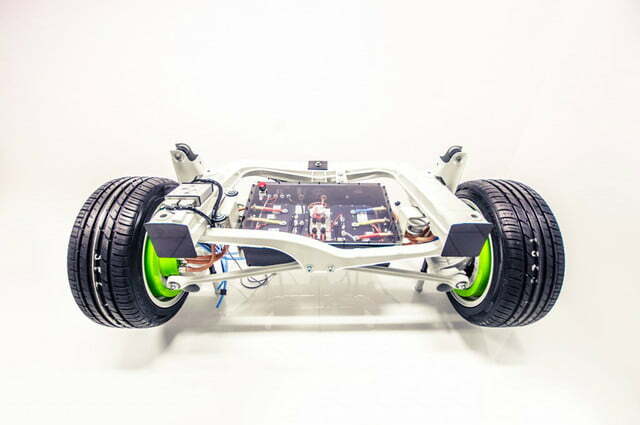 Because there’s no wait for torque buildup with EVs, electric car designers can take greater advantage of torque-vectoring than with ICE-powered vehicles. 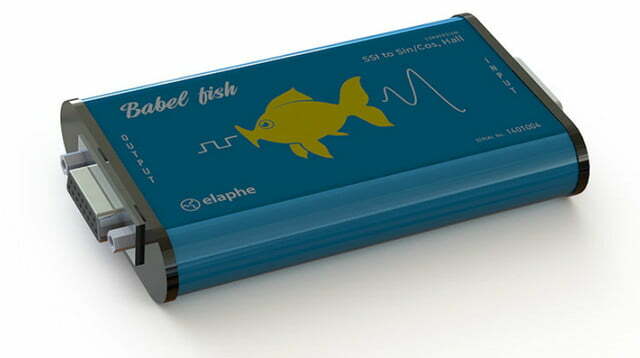 Elaphe builds electric motors in each wheel, complete with independent cooling systems. 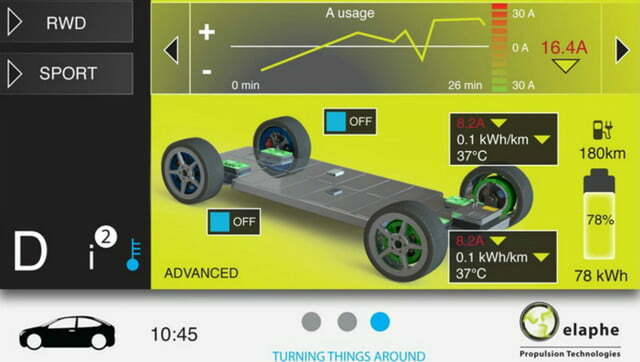 With four motors, near-instant torque is available for each wheel. 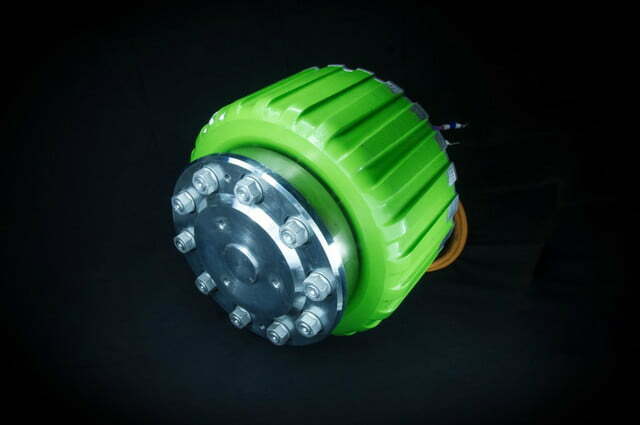 Each wheel also has a standard disc or drum brake plus a power electronics unit. 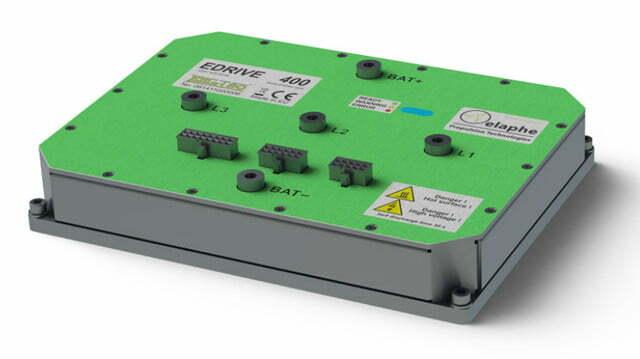 A vehicle propulsion control unit can interface with an autonomous driving controller unit or get input from a human driver, depending on vehicle design. 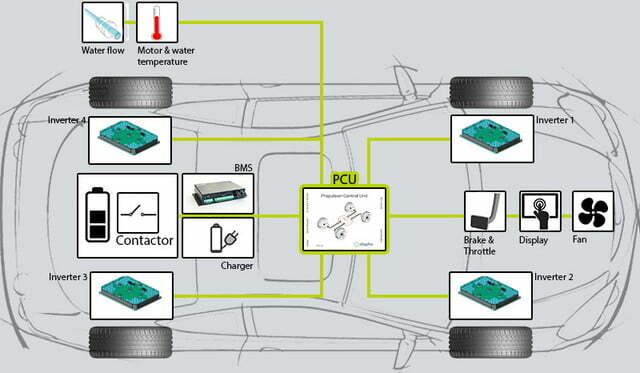 A combined power distribution and management module coordinates the power sent to the motor in each wheel. 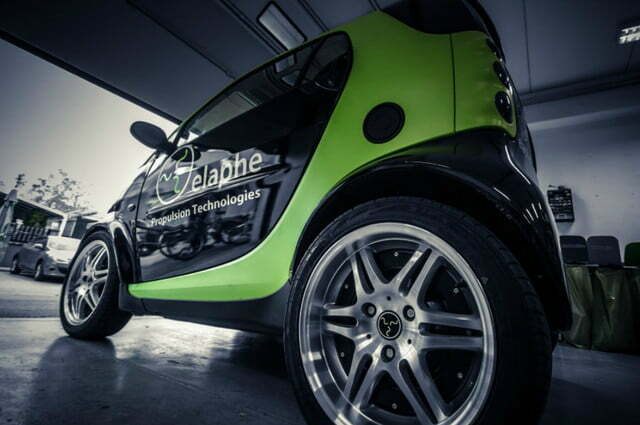 Elaphe manufactures each of the components in its modular autonomous vehicle platform and also develops and provides components for other manufacturers. 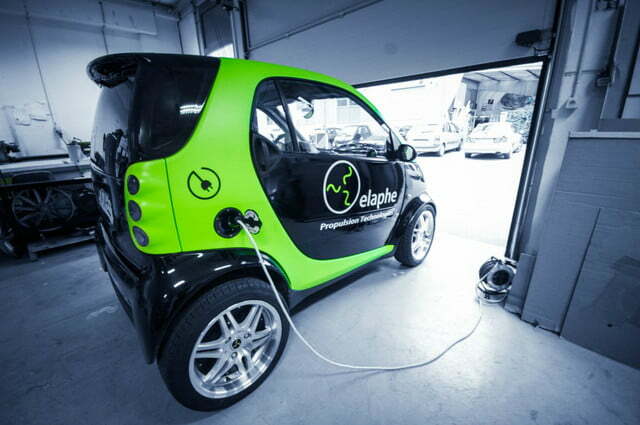 Elaphe’s future focus is to provide vehicle designers some or all of the parts for mobility platforms with which designers can create a wide range of transportation products. 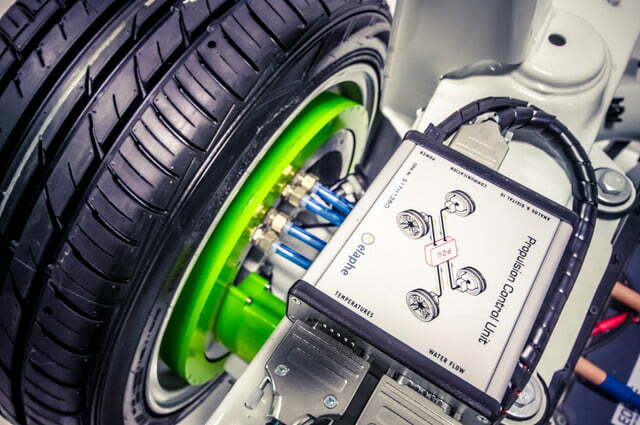 Elaphe’s direct-drive in-wheel motors are adaptable for automotive manufacturers who plan to build self-driving cars with new powertrain design concepts, rather than by adding newer components to traditional vehicles.